If you had an SUV, you might be able to pack half your closet into the back of your car. However, you have a luxury coupe, and you need to be a bit more economical with space. You don’t have too much room for luggage, so think carefully about what you want to bring. Don’t worry – packing light can actually make your trip more enjoyable because you won’t have to worry about all the things you brought along with you. The fun part of road trips is the fact that you know you’re going to see and do things you’ve never seen or done before. However, it’s easy to forget about the monotony of all those hours on the open road. Luckily, your luxury coupe has everything you need to get access to all your favorite entertainment. Podcasts are a fantastic way to pass the time, and you can find them on a wide variety of topics to suit your interests. If you want to get some reading in but don’t like reading in the car, consider an audiobook. You can also just put on your favorite tunes and sing along with them as you drive down the road. This will pass the time much faster and make your trip even more enjoyable. Getting your meals and snacks from gas stations and roadside restaurants isn’t just unnecessarily expensive – it’s also unhealthy. Ditch the overpriced snacks and bring some food with you. You can include things like carrot sticks, dry fruit, and pretzels or granola. This is much healthier than what you would find at a gas station, and it’ll save you money in the process, so you can genuinely enjoy your vacation away from Mandeville, LA. Need that perfect road-tripping car? 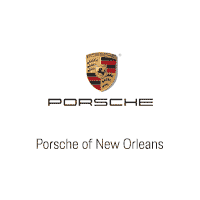 Come see us at Ray Brandt Porsche to find the perfect luxury coupe today.